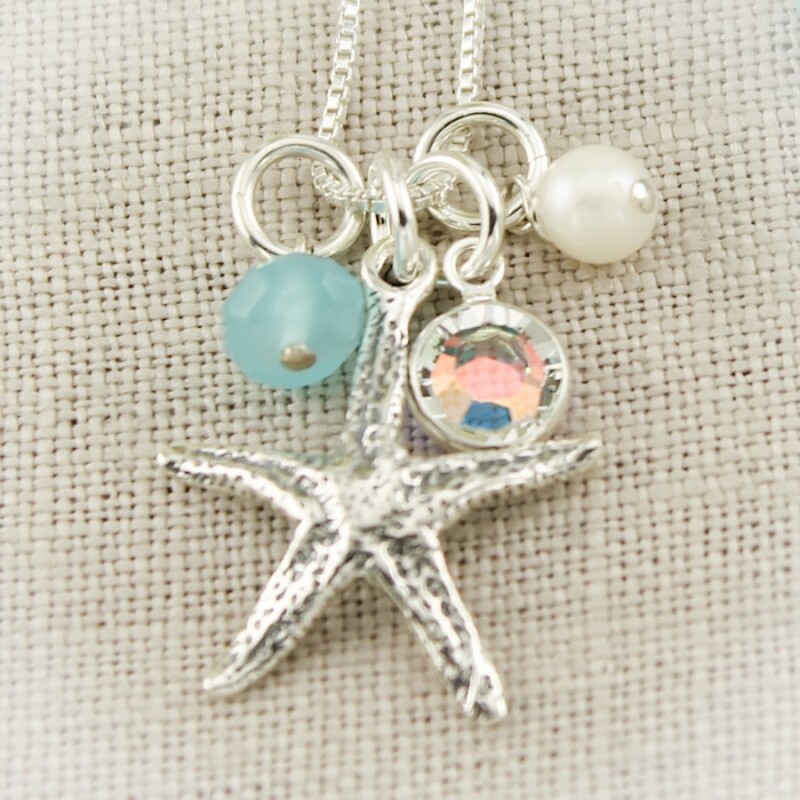 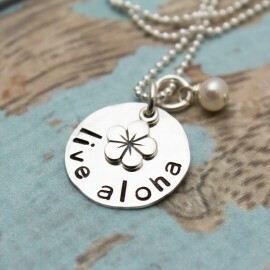 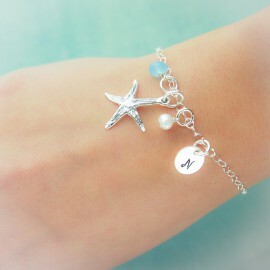 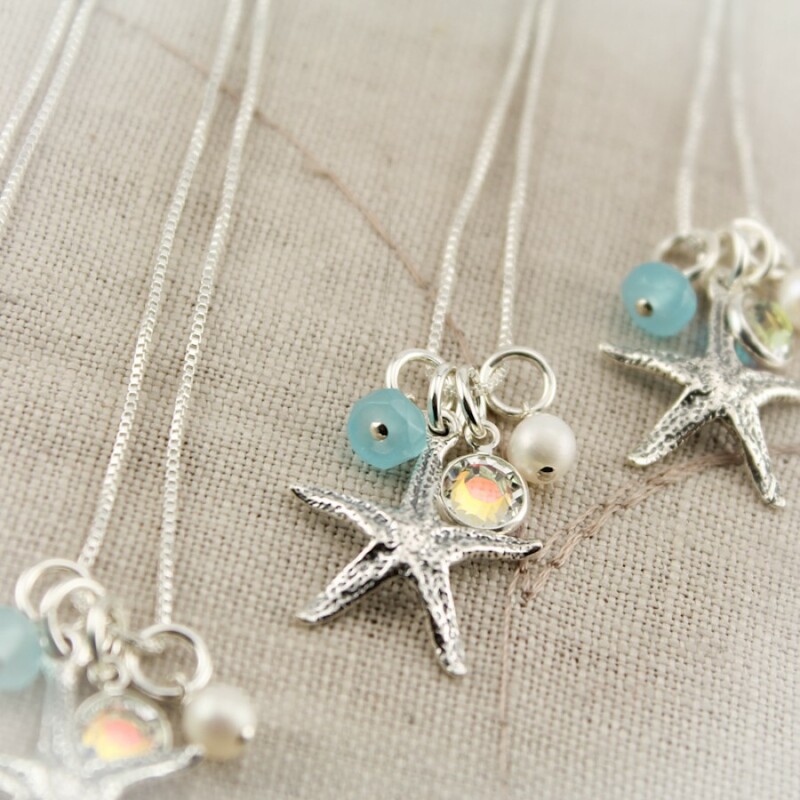 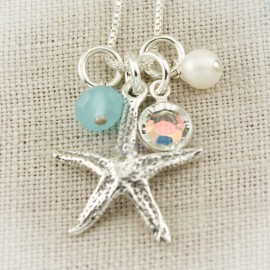 A beautiful sterling silver starfish charm is surrounded by a sea glass charm and a pearl. 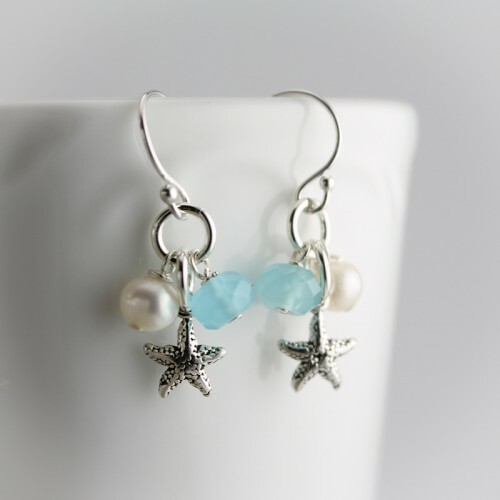 These would be excellent earrings for beach weddings. 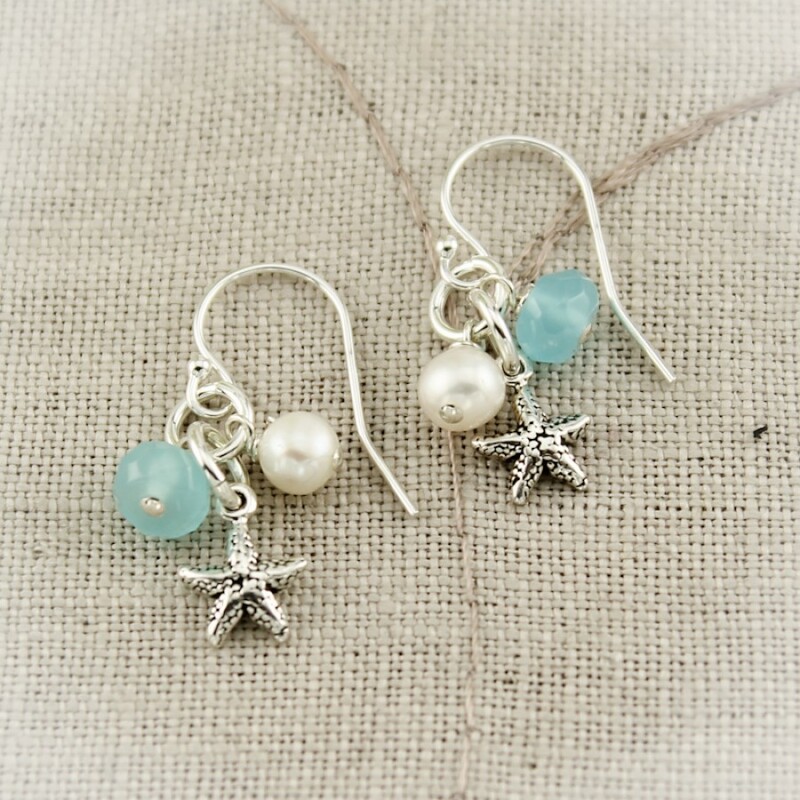 Choice of sterling silver ear wires. 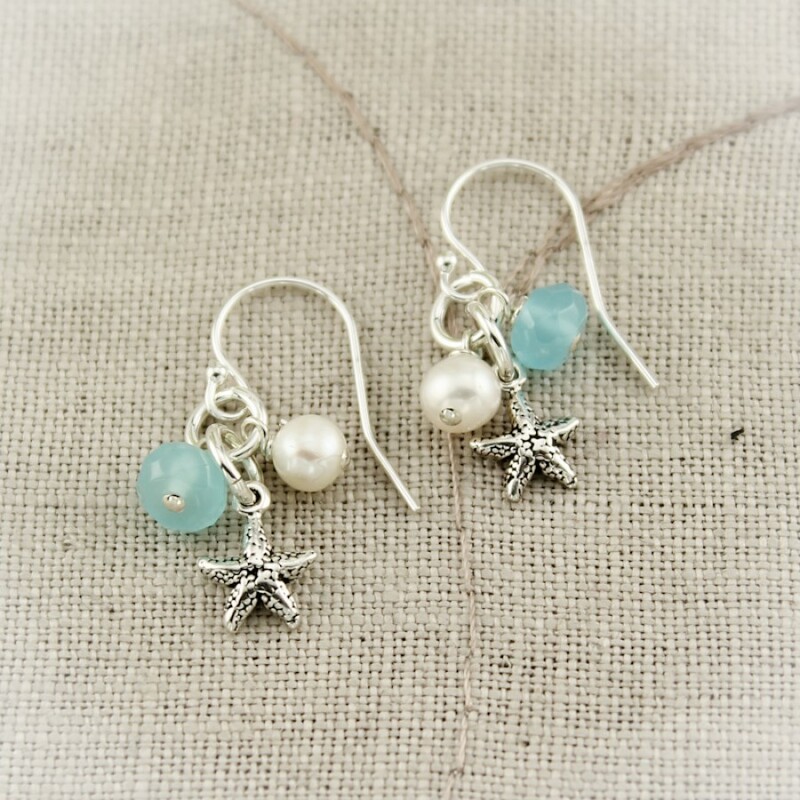 Earrings are on sterling silver ear wires.